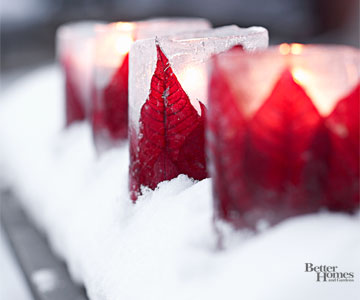 Lighting your home for Christmas can be made fun again by using these great lighting ideas! Creating a welcoming entrance to your home this Christmas can be affordable and easy! One way to add a little twinkle is using strands of lights in your winter containers. Another enchanting way to welcome guests is by lighting your porch with strands of lights nested into branches and hung over your entry way. This easy, and affordable option will wow your guests and make you look like a Christmas decorating pro! Wrapped LightsWrapping your trees with lights can be magical! 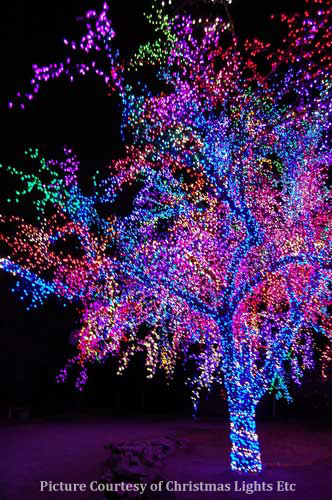 Most families choose only 1-2 colors to light up their yard. Try making your wrapped tree extra vibrant this year by adding strands of lights with a variety of colors! Another unique way to illuminate your trees this Christmas season is with hanging lights. This graceful way of hanging lights is will not only make your yard stand out, but will give the illusion that the lights are “dancing” as they sway in the winter winds. A final way to consider enhancing your outdoor lights would be with light orbs. These are easy to make and look like large, glowing ornaments for your outdoor trees. By simply using a little bit of chicken wire and a strand of lights your family will be able to make a trendy lighting statement in your own front yard! Our team at Hortons Home Lighting wishes your family a safe and happy holidays. Don’t forget to visit us today to buy Christmas items from our annual Christmas Shoppe!